Techtel is excited to announce the appointment of Susan Lim as Territory Manager in charge of our new Singapore office. Susan will be responsible for promoting Techtel’s growing base of partners throughout Singapore, Malaysia and Indonesia in what is our 26th year in operation. Her goal throughout 2019 is to continue the businesses transition into a full service systems integration resource for our regional customers, aligning the value offering more closely with the Techtel Australia HQ. Techtel Singapore has enjoyed many years of success working as a specialist in software products for the broadcast industry and today with more software platforms available than ever before we are seeing a rapid increase in the trend towards 100% software “all IP” workflows. “I look forward to developing new and existing business relationships and working towards establishing Techtel as the go-to systems integrator for all broadcast requirements in South East Asia”, says Susan. To keep up the momentum, last week Techtel has opened the doors to its brand new headquarters in Singapore. Located at the heart of Singapore CBD in Henderson Building, Henderson Road, this office is conveniently situated nearby three train stations (Tiong Bahru MRT Station (EW17), Redhill MRT Station (EW18) and Telok Blangah MRT Station (CC28)); multiple bus stops and can be accessed via Henderson Road, Jalan Bukit Merah and Ayer Rajah Expressway. The rooms themselves have present-day facilities, ambient atmosphere and logistical practicality to handle heavy equipment. Feel free to drop by and share our excitement! 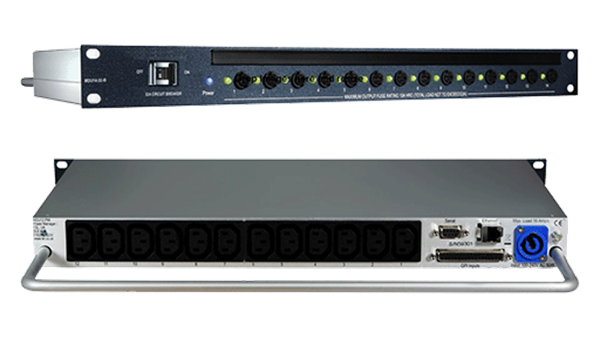 Developed by a global equipment provider to the broadcast industry, TSL Products, these 14-way MDU14-B Power Distribution Units (PDUs) provide system management and power distribution capabilities, enabling systems managers to monitor and control all rack-mounted equipment anywhere in the world through a simple web interface and to manage power requirements while reducing overall costs. The units have been designed to monitor all aspects of the customer’s power infrastructure over local and international networks including equipment fuse status, power consumption by outlet, rack equipment GPIs, temperature and input voltage, total power consumption and power source. In addition, TSL’s PDUs enable remote monitoring for most intricate tasks such as choosing between re-booting individual equipment, rack, or a complete facility; apply rules to alert local maintenance and initiate action; manage and track energy consumption; instantly react to power outage and many others. 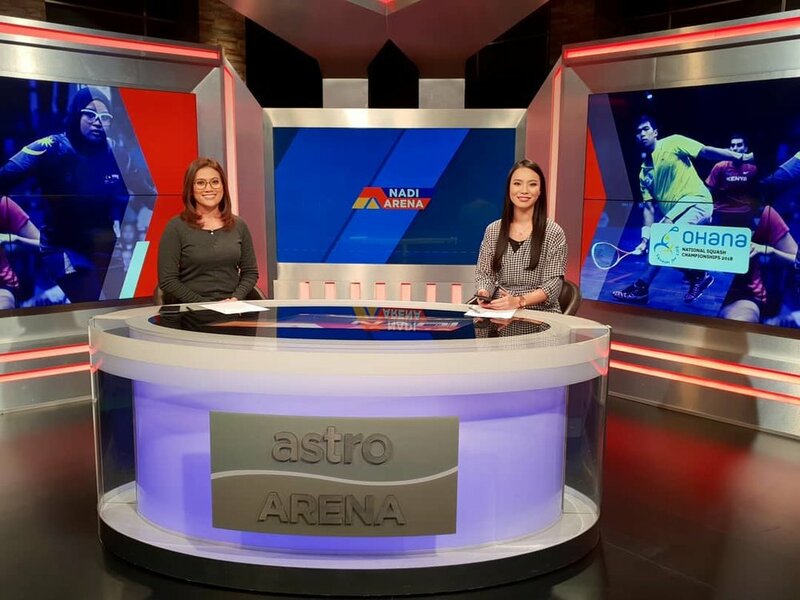 The Singapore based broadcaster has already based most of their facility on the TSL PDU platform with now over 60 units in service constantly monitoring and supplying power to mission critical broadcast systems. I trust like Techtel, you have all enjoyed a successful 2018 and are looking forward to creating more impact in 2019 and beyond. 2018 saw Techtel achieve some meaningful milestones. This included the establishment of a new division of valuable sales and support team members in our Singapore branch, helping the company serve the South East Asian market on a local level. Although our core business has been systems integration, this year we have launched our own IPTV offering – a professional grade IPTV solution, designed to serve the specific streaming needs of enterprises, sport, live events and remote workers’ industries. This year also saw the delivery of some exciting global projects including the first operational remote broadcast centre in Australia for the Australian Open, where together with Gearhouse Broadcast we created the infrastructure that would enable the domestic broadcaster to match what they traditionally did on-site, at a much lower cost. This work was recognised by a Content & Technology Award at the ABE Show, awarded to Gearhouse Broadcast for their excellent work at Australian Open 2018. We were also proud to expand our expertise into the South Pacific by commissioning a transmitter system for Digital Terrestrial TV in Papua New Guinea for the country’s largest ICT provider Digicel, enabling the delivery of more than 30 additional services for its subscribers in Port Moresby, over two newly added transport streams. We are pleased to conclude the year with the launch of seven studios at the ABC throughout Australia with Techtel’s comprehensive broadcast automation solution, including their first HD news studio. Today, Australia’s flagship news programs such as the 7.30 Report, News 24 Channel, Behind the News, local 7PM bulletins and many others are now being broadcast from brand new studio and control rooms, featuring fully automated broadcast technology, widespread use of robotic camera systems, integrated with the latest software solutions. Right now, we’re preparing towards the completion of ABC’s national rollout of the AP ENPS newsroom system, a key component of their new Integrated Media System (IMS) which will be fully commissioned and live once Darwin cut over in early 2019. This was a multi-year project which involved Techtel connecting approximately 70 TV and Radio sites in capital and regional cities to one central ENPS server. As a result, ABC News production teams throughout the country can easily collaborate on and share content produced for their TV, Radio and Digital News platforms. In 2019, our continued focus will remain on consultancy, project engineering and support excellence, helping our customers grow their customer base and continuing to strengthen our strategic partnerships with technology vendors. On behalf of the Techtel team worldwide, I wish you all safe and happy holidays! The 7:30 report, ABC’s flagship news and current affairs program, has gone live to air in what is the ABC’s first Live HD Studio, featuring brand new studio and control rooms with widespread use of automation and robotic systems, integrated with the latest software solutions. This transformation comes as the next step of a multi-year project - integrated, managed and supported by Techtel, covering ABC news studios nationwide and involving a global range of strategically chosen software and hardware technology partners, including Telemetrics, Cuescript, Apantac, Vizrt, TV Logic, Yamaha, Panasonic and others. Techtel, Australia’s leading broadcast systems integrator has commissioned a transmitter system for Digital Terrestrial TV in Papua New Guinea for a local service provider, enabling the delivery of more than 30 additional services for its subscribers in Port Moresby, over two newly added transport streams. The DVB-T2 system itself incorporates power amplifiers based on LDMOS transistors technology characterized by high power density, allowing very high efficiency. Furthermore, it integrates a modulator that covers the main TV and Radio spectrums, equipped with the latest technology in signal processing allowing Digital TV signal broadcasting with the highest quality and reliability. The integrated transmitter is compatible with both single frequency (SFN) and multiple frequency (MFN) networks, a result of Egatel’s system’s configuration flexibility. In addition, the new DVB-T2 system features integrated digital adaptive pre-correction for easy commissioning and testing requirements; and flexible configurations accommodating various redundancy scenarios. As a part of its integrated offering, Techtel supplied, installed, commissioned and tested a new 600Wrms (2+1) DVB-T2 transmitter system by Egatel, as well as seamlessly integrating the platform into Port Moresby’s existing transmission facilities by adding a new RF combiner with two narrow-band and one wide-band inputs. The combiner and its internal filters have been custom designed and fine-tuned to accommodate for four adjacent RF channels compliant with PNG RF spectrum allocations for broadcasting of DTV services. After comprehensive testing, Techtel’s integration team were able to achieve exceptional RF signal performance with shoulder value measured over 49dB, and MER value of higher than 35dB. Techtel is an established provider of digital TV broadcasting transmitters with many other channels powered by Egatel in service in the Asia-Pacific market. (Singapore, 18 June 2018) Nine Network (“Channel 9”), Australia’s largest commercial free-to-air television network selected Techtel as the systems integrator of choice to develop a seamless interface between their Media Asset Management (MAM) platforms and deep storage across their news and production studios and playout centre at two different locations. This transition will make Channel 9 the first Australian broadcaster to switch from a traditional HSM (Hierarchical Storage Manager) architecture to an on-premise Spectra Logic object storage solution, enabling the company to significantly reduce asset restoration times, utilise genetically diverse media and separate their storage geographically – all via one purpose-built and highly flexible solution. Developed by Spectra Logic, the BlackPearl® Converged Storage System allows for data storage on multiple targets, including Spectra LTO tape libraries and disk, and multi-site replication for data protection and MAM redundancy. Coupled with a new and seamless integration with Imagine Communications’ Nexio® Motion™ workflow and media management system, as well as combining with Avid Interplay’s existing BlackPearl client, the Spectra Logic system provides a new, long-term storage solution to preserve Channel 9’s persistent data, which is growing from 5PB. In addition, the newly integrated content management system is expected to lower storage costs by reducing the overhead of multiple software and hardware systems running independently, as well as cutting out the need for multiple vendors and middleware. “Living in the age of highly sophisticated cyber threats and where digital content outlasts its storage technology, it is critical to have a failsafe storage solution in place, which is also scalable across its capacities, technologies and interfaces. We are confident that Techtel is the ideal broadcast technology systems specialist to provide the optimal mix of hardware, software and integration expertise to serve this purpose,” said David Bowers, CTO Channel 9. For this turnkey systems integration project, Apantac worked with leading independent Australian broadcast technology systems specialist, Techtel. Through the partnership with Techtel, an extensive line-up of Apantac’s T# Multiviewers are being installed in ABC control rooms at all twelve studios throughout Australia. Specifically, Apantac developed an interface between its T# Multiviewers and the Grass Valley Karrera K-Frame switcher housed at each studio. This software integration provides a level of communication between the switchers and the multiviewers that streamlines the synchronization between the two systems. The integration allows the T# Multiviewers to sync directly with the K-Frame, so that all source, UMD naming and labels as well as auxiliary source setting changes on the switcher are automatically populated on the T# multiviewer output windows. This ensures that the monitor wall driven by the Apantac T# multiviewers and fed by the switcher is automatically updated with display information that is continually updated as switching events occur. The T# Multiviewers are considered one of the most flexible and versatile Multiviewers on the market today. With the T#, a facility can build the Multiviewer that they need by choosing from a selection of input and output boards, or from a selection of pre-configured models. Plus, one can mix & match a variety of signal types (SDI, HDMI, IP, Fiber, HDBaseT and more) for multi-image display processing and monitoring on displays, without any external conversion. T#’s unique and high bandwidth universal mid plane architecture allows any type of future format to be added by simply plugging in a new hot swappable input board, making it truly future-proof. “Working with the Apantac team has been an excellent example of flexibility working in a turnkey technology environment, seamless integration with a variety of solutions, as well as a commitment to providing the customer with an advanced solution to meet their needs,” comments Mal Chandler, Techtel CEO. IT organizations are facing an incredible challenge keeping up with their company's storage growth demands. Enterprise Strategy Group in their 2015 Data Storage Market Trends report found that 53% of respondents at the organizations they surveyed are experiencing annual storage growth rates of 10%-40% and 25% are dealing with astronomical numbers in excess of 50% growth. Advanced LTO-7 tape technology allows you to handle even the toughest challenges of long term storage with 15TB of compressed data and 6TB uncompressed digital data per cartridge, however most locally attached LTO’s are not a shared resource and are incapable of being used over a network. Introducing EASY LTO from GB Labs, the network attached all in one backup and archiving solution designed for everybody. Incredibly intuitive, EASY LTO supports accelerated throughput at 300 Mbps and advanced security with the inclusion of TAR and LTFS and the ability to exchange files with any other standard LTO system. Already using LTO, but want to work with Easy LTO? There’s even built-in support for importing entire catalogs from third party vendors, so migrating from your old system to Easy LTO is a breeze. GB Labs Snapshot backup is built-in and allows you to keep an ongoing automated backup of your most important systems. Create a backup tape set and add tapes without limit. Handling storage growth demands of 20%, 30%, 50% and more are all manageable. Time to take control of your company’s long term storage demands with EASY LTO by GB Labs. Geneva, Switzerland, 18.04.2017 – Marquise Technologies, a Swiss-based developer of high-end, post-production solutions will showcase at NAB 2017 a draft IMF Application based on Apple ProRes. Television today is not just about receiving content for transmission, it is also about producing and selling content worldwide. Exchanging and managing the multiple versions of programming needed for this expanded business model must be done efficiently, both technically and financially. The advantages of IMF workflows are well documented in theatrical post-production, but IMF adoption in television has been very limited so far. Broadcasters have very different distribution paths and often work on tighter schedules. Furthermore, many broadcasters currently use ProRes for both long-term conservation and as a mezzanine format. Therefore a new IMF Application — more oriented towards the specific needs and workflows of broadcasters — is needed. Last year, the European Broadcast Union (EBU) started an IMF-TV workgroup, led by the BBC’s Andy Quested. This group studies the applicability of IMF for the main broadcaster use cases. EBU's Hans Hoffmann, Head of Media Fundamentals and Production Technology, stated: "We are very supportive of IMF as a mastering format. The principles developed in the cinema industry are equally applicable in broadcasting, hence the work we are doing in the EBU IMF-TV group." Marquise Technologies, a member of the IMF-TV work group, will demonstrate these new IMF-TV workflows, from mastering an IMF package in ProRes to the creation of multiple deliverables (including AS-11 DPP and iTunes packages), at their booth at this year’s NAB. Nevada City, California, April 18, 2017 – Telestream®, a leading provider of digital media tools and workflow solutions, today announced it has entered into a strategic partnership with Unified Streaming, a pioneer of smart video streaming technologies. This agreement allows Telestream to offer Unified Streaming’s Origin as an option to its Lightspeed Live Stream system to provide an industry-leading, all-in-one streaming solution with extended format and DRM (Digital Rights Management) support. The combined solution provides just-in-time packaging of Adobe HTTP Dynamic Streams (HDS), Apple HTTP Live Streams (HLS), Microsoft Smooth Streams (MSS) and MPEG-DASH formats, coupled with the most comprehensive DRM support available. With sophisticated server-side ad insertion capabilities, broadcasters and content owners no longer have to worry about ad-blockers cutting into online revenue. The number of players, DRM systems, codecs, and protocols in use creates an enormous matrix of possibilities that an origin server must respond to, at scale, in real time. “Both Telestream and Unified Streaming have a reputation for building bullet-proof systems that can be trusted and relied upon by the largest broadcasters and CDNs in the world 24/7/365. This partnership builds on those reputations while offering our customers exciting new capabilities to enhance their revenues,” said Turner. As part of the integration, Telestream’s Lightspeed Live Stream encoder sends an enhanced, high-quality, multi-bitrate common base format to Unified Origin. This enables the Origin to create any type of playout package required including encryption or DRM in real time, on demand. The option with Unified Origin will be showcased at NAB on the Telestream booth (SL3316) and the Unified Streaming booth (SU9624). It will be available from Telestream and its global network for resellers as of May 1st, 2017. BASINGSTOKE, UK. April 13th 2017 – Omnitek, specialists in Test & Measurement and IP & Design Services for the video industry, will launch its new Broadcast Waveform Rasterizer, which will be previewed at NAB this year. The Ultra TQ can be seen on Booth C7915 in the Central Hall, Las Vegas Convention Center from 24th to 27th April. The Ultra TQ builds on the success of the Ultra platform and is fully equipped waveform rasteriser for the broadcast market. 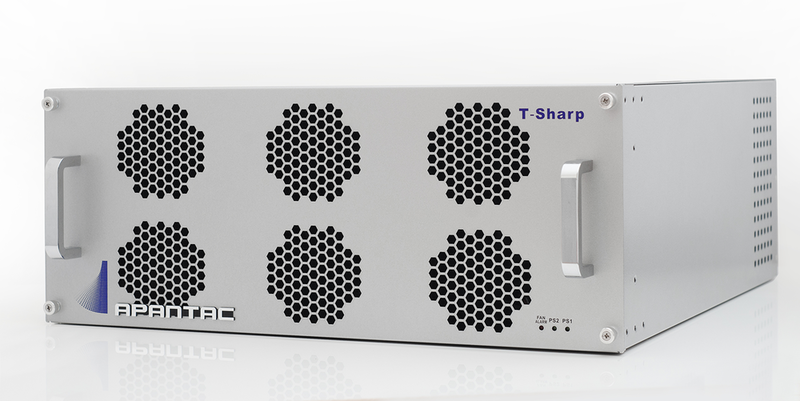 The Ultra TQ inherits functionality from the highly successful Ultra 4K Tool Box and the Ultra XR products to provide an unrivalled comprehensive set of tools to support broadcasters with the challenges posed by HDR and WCG production. The Ultra TQ supports analysis and generation of all SD, HD and 3G-SDI formats as standard with an upgrade path to 4K/UHD if needed. It is aimed at broadcast production, engineering, outside broadcast, operations and control rooms that require the comprehensive tool set that is offered as standard. The Analyser instruments within the Ultra TQ include Picture, Waveform monitor, Vectorscope, gamut meters, full audio monitoring and loudness measurement, video timing, video / audio status monitoring, event logging and closed caption logging as standard. The Picture monitor provides a high-quality HD display with closed captions overlay, safe area cages and O-Zone TM (Omnitek’s false colour display for HDR and SDR production). The full resolution Waveform monitor can display YCbCr or YRGB and provides full horizontal & vertical zoom of single, multiple or all line displays. Analysis can be made of full frame video or Region of Interest. Audio Meters display 16 audio channels with industry standard ballistics and scales. Loudness Meter supports ITU-R BS.1770 and EBU RP 128 to allow program or continual loudness logging. Ultra TQ provides full logging of all physical and functional parameters of the video signal against timecode, ideal for program QC and Compliance. The integrated line test pattern generator allows the generation of 38 line-patterns. This can be upgraded to a full test pattern generator with a range of moving and static zone plates and test sequences. Physical layer analysis and advanced physical layer analysis are available as options for use anywhere signal integrity needs to be checked. Omnitek will continue to roll out new functionality on its Ultra family of products with its established customer base with 4K/UHD / 12G-SDI equipment manufacturers and 4K/UHD/HDR post production houses. The NAB software release for the Ultra family adds full audio and loudness monitoring, enhanced high dynamic range analysis and other functionality. This builds on the recent V3.2 release which added Omnitek’s O-Zone TM false colour display for HDR and SDR material, closed caption / subtitle display and full timecode based logging of events. San Antonio, TX, April 6, 2017—NewTek today announced TriCaster® TC1, the culmination of more than a decade of IP video experience for live production, with uncompromising support for 4K UHD switching, live streaming, recording, data-driven graphics, virtual sets, social media publishing and more. Continuing innovation around the iconic product that has defined an industry, TriCaster TC1 supports 16 external inputs of up to 4K UHD 60p resolution without sacrificing functionality. Powered by NewTek’s NDI™ technology for IP-based workflows, TriCaster TC1 also offers multiple studio-grade Skype TX channels for adding remote video guests to live shows. NewTek’s software-driven, IP-native approach to 4K eliminates the need for conversion to and from baseband video, allowing all integrated features including video playback, mix/effect busses, keying layers, and streaming to be 4K-capable without limiting the number of available resources. TriCaster TC1 has 16 inputs available, regardless of video resolution, and NewTek’s top of the line IP Series now offers 44 external inputs in 4K UHD without sacrificing functionality. It’s not just the ability to deliver content that makes TriCaster TC1 so special. It is truly a production powerhouse with an unbelievably rich feature set that typically requires 4 or 5 other devices to accomplish in traditional baseband video workflows. With built-in video servers, macro automation, advanced chroma-keying, ISO-recording, replay, and more, TriCaster TC1 ideally suits broadcasters, sports, esports, educational organizations, corporate entities, houses of worship, event producers and digital video teams looking to get the most production power with high-quality content delivery in a single system. A new feature with TriCaster TC1 and IP Series is integrated multi-channel Skype TX integration. NewTek is the only company to offer this functionality in a live production system in the world. Any one of the TriCaster TC1’s 16 external inputs can be designated for live, broadcast-quality Skype video calling, giving producers the capability to reach any one of the 300 million monthly active users of Skype and deliver a pristine HD video call with balanced audio. With studio-ready call control from an external laptop or workstation running the Skype TX controller application, calls can be configured and monitored without impacting the TriCaster TC1 operator’s workflow. Other active call channels from NewTek TalkShow® systems can be managed from the controller for additional call capacity and streamlined management. Like its predecessors, TriCaster TC1 is an integrated solution, however, TC1 is also very capable of connecting to the bigger IP universe. With native integration of NewTek’s NDI™ technology, TriCaster TC1 connects to the most prolific IP-based ecosystem in the industry, networking seamlessly with compatible products from hundreds of manufacturers and developers. This means that many connections to both NewTek and third-party products from TriCaster TC1 will be direct via IP without any baseband video connections. Over one hundred operator centric features to maximize efficiency in video production including, PTZ camera control, 4x4x4 audio matrix router and mixer, DANTE and AES 67, animated buffers, and more. At IBC 2016, Bridge Technologies launched NOMAD, a unique, innovative and affordable tool for anyone tasked with managing, supporting and optimising IP networks and hybrid networks with RF signals. A highly portable, self-contained and versatile network probe, NOMAD covers all the monitoring requirements of hybrid IP multicast, OTT and RF networks, and provides every conceivable interface for media signal monitoring and analysis with Gigabit Ethernet, ASI In/Out, DVB-C QAM cable, DVB-T/T2 COFDM terrestrial, DVB-S/S2 satellite signals with even advanced external 1PPS GPS time-reference. It is specifically designed to improve the efficiency and effectiveness of those who do not have an in-depth understanding of moving content over IP. As well as broadcasters and network operators, potential users could include corporate facilities managers responsible for a videoconferencing network; retail, leisure and hospitality professionals who manage IPTV systems; or those in the defence industry charged with ensuring the timely and accurate distribution of video within and between vehicles. Through its unparalleled ease of use, NOMAD provides novice users with instant understanding of the behaviour of any OTT network. The unit is also a Wi-Fi zone; by pointing a laptop towards NOMAD, it is ready for use without further configuration, representing the ultimate in ease of set-up. This capability also makes NOMAD a completely self-contained, autonomous solution without the need for an external host system. NOMAD is characterised by its small size and light weight (around the size of two tablets one on top of the other) making it extremely portable. It is also distinguished by its outstanding aesthetics: NOMAD is cut from a single block of high quality aluminium, CNC-milled to a precision of 10 microns with laser-engraved logotypes. Recessed rubber feet make it appear to hover 0.2mm above a surface. It is also rugged and capable of being deployed in the harshest, most challenging environments. This is a function of its uniquely durable construction, together with cooling that ensures heat from its powerful processors is dissipated via the aluminium chassis. NOMAD can also be left unattended, with its alarm-triggered recording facility (32GB of Flash memory is included) meaning that errors can be captured for later analysis. Built in to NOMAD is Bridge Technologies’ patented MediaWindow™ user interface, giving easy visibility into, and understanding of, packet streams, providing unequalled simplicity of confidence monitoring. NOMAD can be simply accessed via any web browser. Nevada City, California, 5 September, 2016 – Telestream®, a leading provider of digital media tools and workflow solutions, today announced the acquisition of UK-based Quality Control (QC) technology specialist, Vidcheck. Established in 2009, Vidcheck is recognized as a leading developer in automated QC solutions within file-based production workflows. Its system solutions are used by broadcasters, facilities and content owners worldwide, such as ITV, BBC, CBS and many others. The privately funded acquisition is complete and the new combined company will take its bow at IBC (stand 7.B26). In recent years, Vidcheck QC technology has enjoyed significant commercial success, especially in European markets. Vidchecker, the company’s flagship product, is the gold-standard for file-based automated QC with correction and sales have shown strong and sustainable growth for a number of years. Similarly, Telestream’s Vantage media processing platform has maintained rapid worldwide sales growth for the last six years. Telestream will build on Vidcheck’s success, providing greater reach around the globe and strong sales and market presence offering its customers even more effective and efficient solutions. "Telestream is a great home for Vidcheck, technically, commercially and culturally,” commented Thomas Dove, CEO of Vidcheck Ltd. “The companies have complementary technologies which will feed into both product ranges, the most obvious being the perfect fit of Vidchecker auto QC with Vantage. With Telestream's sales and support reach, Vidchecker will naturally be available to a much wider set of customers, particularly in North America. Being part of Telestream provides a great launch pad for the next phase of growth for Vidcheck." Vidchecker is the file-based QC solution of choice at many major broadcasters worldwide. Feedback to news of the acquisition from this audience has been strongly positive. One example of this is UK-based commercial broadcaster, ITV. “Vidchecker is a trusted tool that we at ITV use to ensure that the content we create, and receive is of the highest image quality and meets all the required format specifications for our online platform partners and linear broadcast. With the ever increasing number of formats and standards, we look forward to seeing continued improvements now that Vidcheck has been acquired by Telestream, whose Vantage platform is at the heart of ITV’s Content Delivery Platform,” said David Hornsby Head of Content Technology at ITV. Vidcheck provides elegant, advanced software applications to automatically check and correct video and audio in file-based digital video, focusing on the requirements of the broadcast industry, at a cost-effective price. Vidchecker is an easy to install Windows software application for PCs/servers. It removes the labor intensive tasks of manually checking conformance by eye and hand, the need to check video/audio compliance with waveform monitors and audio loudness meters, and to manually correct levels with video processing amplifiers, and other tools. The GUI is accessed through a web browser either on the local machine or remotely over a network. It is optimized for checking file-based video before and after distribution, and for use by broadcasters for checking files received from post production and content distributors to ensure that file, video and audio parameters and levels are correct and ready for broadcast. Today, the world of broadcast IP Video got a little smaller, as we witnessed the future of global broadcast video collaboration via IP Video. In a test of the new NDI.Cloud video service, a feed from an NDICam camera in London was offered to an NDI.Cloud wide area network group including distributor Techtel in Singapore, currently exhibiting at Broadcast Asia, booth 5J3-03. The NDICam source instantly appeared inside a TriCaster in Singapore, and was selected on the Program Bus. Simultanously, in London, the outputs of the Singapore TriCaster appeared in NDI Monitor, and a mix minus confidence feed was returned to London. Total round trip latency was under half a second, running over the public internet. NDI.Cloud uses high quality compression and advanced WAN acceleration technologies to bridge between NDI facilities over long distance, moderate bandwidth connections. Adding tools like NewTek's NDI Connect, this global IP video WAN can also include SMPTE 2022 and other IP Video protocols. NDI.Cloud will be launched later this summer. Exhibiting at Broadcast Asia together with its Singapore channel partner, Techtel, Telestream will showcase Lightspeed Live Stream, and Lightspeed Live Capture, two new applications that deliver real-time, enterprise-class streaming and capture for media and entertainment companies, corporations, government and education. Lightspeed Live Stream solves the problem of preparing real time content for adaptive bitrate live streaming while Lightspeed Live Capture can independently record multiple channels of SD, HD or a single channel of UHD. Both Lightspeed Live Stream and Lightspeed Live Capture were unveiled to the public at NAB last month. Telestream developed Lightspeed Live Stream in response to increased demand among news, sports, and special event broadcasters to simultaneously push live programs OTT. Lightspeed Live Stream encodes a live program at highest quality and simultaneously streams the output via an origin server or CDN. The Lightspeed Live Capture application can also be installed on the same server to simultaneously capture the source video into Vantage for further processing. Until now, file-based and siloed systems demanded a more serial workflow. By closely integrating the latest parallel file-based open workflows in Telestream’s Vantage platform together with the combined CPU/GPU power of the Lightspeed Live server and applications, the fastest possible delivery of all assets is realized. Another new addition to the Vantage platform taking its APAC regional bow at Broadcast Asia is an Adaptive Bitrate (ABR) Optimization feature that can significantly reduce delivery bandwidth needs and costs within multiscreen distribution applications. This advanced feature can achieve real-world bandwidth reductions of 25-40 per cent whilst maintaining a premium viewing experience through high quality media distribution. In the world of multiscreen media delivery, Content Delivery Network (CDN) costs are a significant issue for broadcasters. Whilst traditionally they are used to fixed distribution costs, irrespective of viewing audience, this is not the case when distributing via CDN. These distribution partners charge on a “per-bit, per-viewer” basis, so the more multiscreen viewers, the higher the cost of distribution. Therefore, the ability of a product to produce high quality images at lower bit rates is a major consideration. Another APAC debut from Telestream at Broadcast Asia is Timed Text Flip within Vantage: a new closed caption and subtitling service that meets even the strictest internet and TV broadcast mandates for captioning and subtitling delivery. Advanced automation capabilities enable content to be processed faster before being seamlessly integrated into existing Vantage workflows. A fourth innovation from Telestream, which was developed with APAC broadcasters and production facilities in mind is Vantage Open Workflows, which the company developed in response to increased demand amongst news and sports broadcasters for OTT services to support multi-screen media distribution. The goal is to provide the news at the same lightening fast speed across a range of devices outside of traditional TV. Within a file-based workflow this presents a challenge since the core data file must be transcoded into several formats in order to be distributed across this broad and ever increasing range of mobile devices. Vantage Open Workflows enable the user to start generating output before file input is completed. While the idea of performing actions on a growing file isn’t new, Vantage Open Workflows takes this capability to a new level by enabling multiple Vantage Actions such as Watch/Copy/Flip/Compute to simultaneously be working on a file as it is being ingested. This capability reduces processing time and empowers broadcasters to automatically access content as soon as it starts to enter the file-based workflow and before file ingest is completed. Consequently, the ability to deliver TV broadcasts and multiscreen content simultaneously becomes an achievable, cost-effective task. GB Labs, the world’s leading manufacturer of Network Attached Storage (NAS), today announced its adoption of NewTek’s open Network Device Interface (NDI™) standard for IP-based production workflows for its range of high speed, media specific storage. With NDI enabled, their Space product range will be recognizable as a source by other NDI-enabled devices and systems connected to a standard Ethernet local area network, exponentially increasing the number of video sources available for live production. GB Labs’s Space storage range with NDI integrates seamlessly with NewTek’s TriCaster multi-camera video production systems. This allows production directors to pull from multiple data sources at speeds of up to 9,000MB/sec making this the World’s fastest NAS on the market. GB Labs’ storage has feature rich workflow tools built in to its Core operating system making for a compelling workflow. This new standard for live production IP workflow is bi-directional and backwards compatible with a large number of devices from top manufacturers already utilizing NewTek’s open protocol allowing IP connectivity between devices. GB Labs’s Space storage range will be part of the NewTek Developer Network, the industry’s largest ecosystem of IP-enabled products using the same standard.